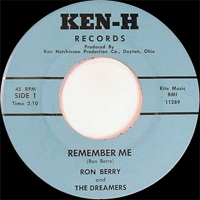 Chanteur Rockabilly US né le 12 Octobre 1939 à Mariba (Kentucky). 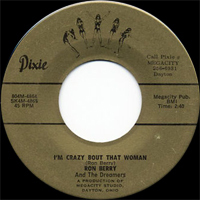 Rockabilly cat Ron Berry was born October 12, 1939, in Mariba, KY. 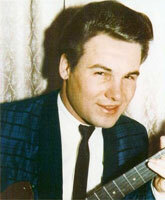 Though the product of his church choir, his most profound influences included Elvis Presley and Jerry Lee Lewis, and while still in high school he cut his first rock & roll session at the studios of Mt. Sterling station WMST. 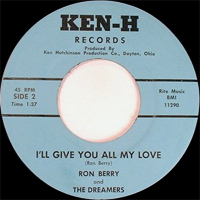 The session would not see official release for close to a half century, and Berry dropped from sight until 1963, resurfacing on the Ken-H label with "I'll Give You All My Love." He later cut sides for the tiny Wildwood and Pixie labels, but was virtually forgotten by all but the most omnivorous rockabilly collectors when the NBT label compiled material past (including his 1957 WMST sessions) and present (like latter-day recordings with his Rock Creek Band) on the 2004 set I Want You! 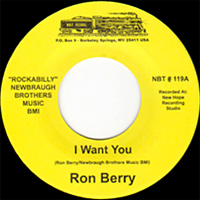 2007 SP NBT 119 (US) I Want You / ? 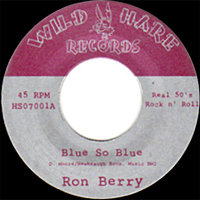 2007 SP WILD HARE WH #00701 (US) . Blue So Blue / ?